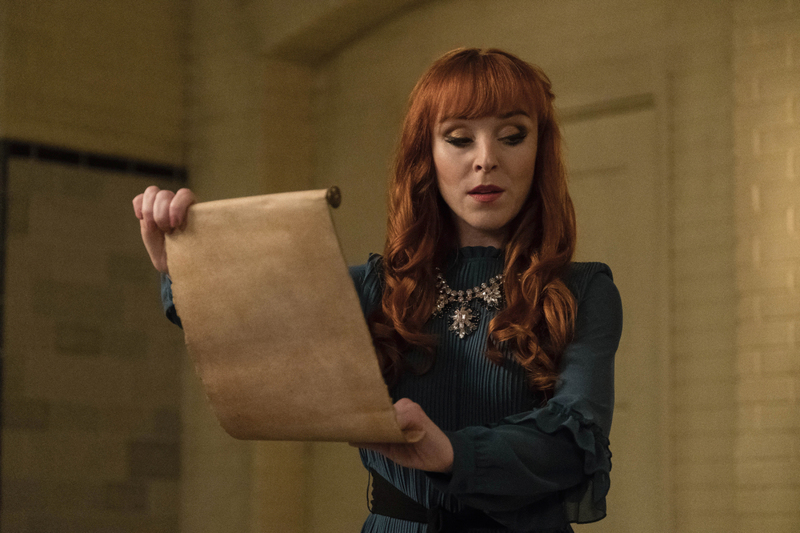 Rowena (Ruth Connell) returns in the Thursday, November 29 episode of Supernatural and we have some photos courtesy of The CW! CARPE DIEM — Sam (Jared Padalecki) and Castiel (Misha Collins) track down a Shaman (guest star Dimitri Vantis), who may be able to help a friend. Nick (Mark Pellegrino) continues to spiral down a dark path as he looks for answers surrounding the deaths of his wife and son. Jack (Alexander Calvert) turns to Dean (Jensen Ackles) for help enjoying the human experience. John Showalter directed the episode written by Eugenie Ross-Leming & Brad Buckner (#1407). Original airdate 11/29/2018. You can find some photos below. See video interviews from the Supernatural 300th Episode press line here – more videos are coming!